Thank you to everyone who joined us for the tournament last year on July 9, 2018. Together, we raised a record $1.42 million for Credit Unions for Kids, benefiting Children's Miracle Network Hospitals. It's truly amazing what we can accomplish when we come together! 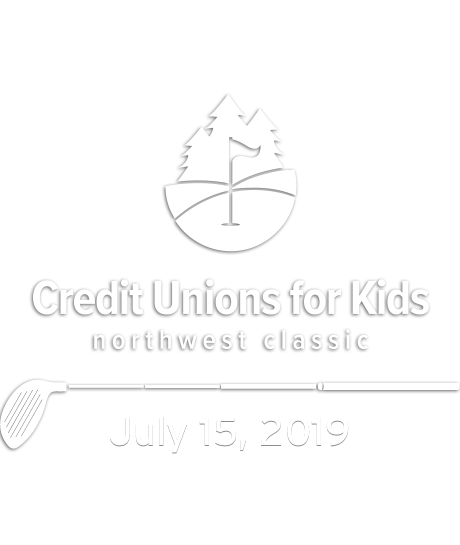 Each year, the Credit Unions for Kids Northwest Classic hosts more than 300 community leaders and business partners to support Credit Unions for Kids, benefiting children and families in need of medical care. Our combined efforts have created a legacy of giving - for us, for our members and for thousands of children and families we've helped. The tournament has become the largest credit union-sponsored event supporting Credit Unions for Kids - and today, the event has raised more than $7.9 million for children's hospitals across our region, funding cutting-edge medical research, innovative therapies and treatments, and world-class care for children in need. Four person teams, which may include a fifth celebrity player or a Credit Union leader. The Peoria Scoring System will determine each team's handicap based on plan for the day. A Scramble format will be played on both courses. For more information, contact community@firsttechfed.com. 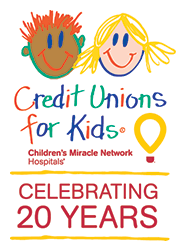 Credit Unions for Kids is the non-profit organization under which credit unions across the nation raise funds for Children's Miracle Network Hospitals. By funding breakthrough research, numerous programs and services, and construction of new facilities, credit unions have established a wonderful legacy at hospitals throughout the United States. Children's Miracle Network Hospitals is a non-profit organization that raises funds for more than 170 affiliated children's hospitals. With the help of a Children's Miracle Network Hospital in their community, children of all ages and backgrounds can receive treatment for every imaginable disease and injury - from asthma and broken bones to cancer and heart defects. Children's Miracle Network Hospitals are also on the front lines of research, education and outreach programs that keep millions of kids out of the hospital each year. Please contact us at community@firsttechfed.com for more information.